Assisted by smart charging tools developed in the EU Horizon 2020 project, INVADE, Halden Municipality in Norway aims to reduce CO2 emissions, lower their costs – and even out social differences. “With the help of a smartphone and an app, anyone can book and rent our new electric cars,” says Martin Vik, Head of Communication & Digitalization in Halden Municipality. 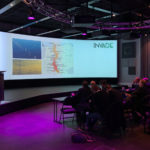 On Thursday, the official opening of the unique mobility project in Halden, Norway, gathered both partners and several local news stations, as well as the State Secretary for the newly appointed Norwegian Minister of Digitalization. “I am so happy I got to come to this opening. We are looking forward to making our society better to live in, bit by bit. Halden is one of the municipalities to lead the way in the green shift,” commented State Secretary, Paul Chaffey, who got to take a ride in one of the municipality’s new electric cars with Halden’s mayor, Thor Edquist. 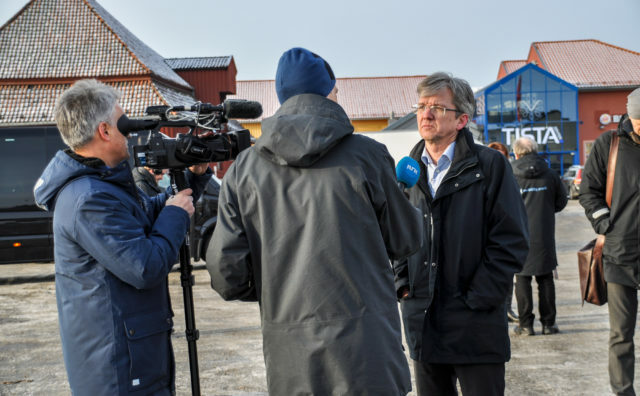 Paul Chaffey, State Secretary for the Norwegian Minister of Digitalization, was interviewed by NRK (the largest media organization in Norway) at the grand opening. “The purpose of the project is to make the City of Halden more attractive to its inhabitants, and also to attract more people. To make this happen, we are taking climate-friendly measures which ensure our citizens’ mobility needs, but at the same time limit the number of cars going through the city center,” explains Vik. The newly implemented solution entails that the municipality rents 20 electric vehicles (EVs) during regular office hours. Between 8 am and 4 pm, public employees drive these EVs to and from all work-related activities. The goal is to reduce the usage of private cars during work hours and lower the municipality’s costs related to mileage allowance. In addition, employees, inhabitants and tourists all have access to rent the EVs at night and during weekends, which will contribute to reducing CO2 emissions and fulfilling UN’s sustainability goals. “We wish to motivate and encourage both public employees and citizens to make use of more climate-friendly mobility solutions. The project also represents a new and affordable option for inhabitants with limited resources, who might not own a car,” notes Vik. From the 1st of February 2019, Halden Municipality’s electric cars will be made available to anyone who wishes to “borrow” them outside of office hours. To book a car, you need to download the app Mobilty Park. The app provides an overview of reach and prices. It also unlocks the car. The mobility project is a part of Halden’s Smart City program, which is a collaboration between Halden Municipality and Smart Innovation Norway. In addition to initiating and developing Smart City projects in multiple Norwegian municipalities, Smart Innovation Norway has participated in several EU Horizon 2020 projects and currently coordinates INVADE (2017-2020) – the largest European Research & Innovation project ever in the field of SmartGrid & Storage coordinted by Norway. 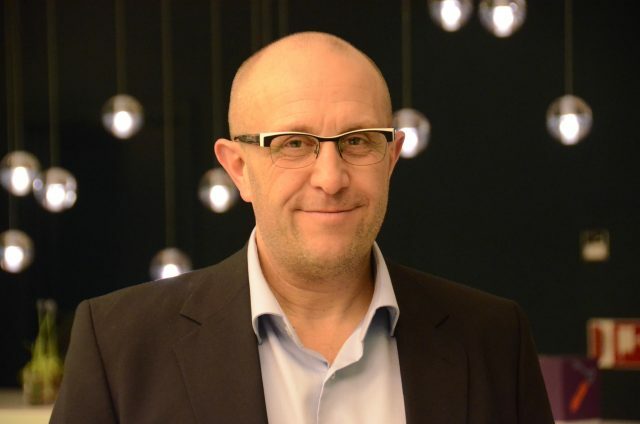 Per Gjerløw is Director of Business Development and Coordinator of EU projects at Schneider Electric Norway. The three-year EU project develops solutions for smart EV charging, and these solutions will be tested and taken further through Halden’s mobility project. “The EV project in Halden will become a part of the INVADE exploitation (WP3), which means we will connect the platform and tools we have developed for INVADE to the EV charging stations in Halden. The solution will simplify the charging process and optimize EV charging with the possibility to use the EV batteries as storage using Vehicle to Building (V2B) technology which is under development, explains Per Gjerløw, Director of Business Development and Coordinator of EU projects at Schneider Electric Norway. His company is one of the INVADE partners and the supplier of the new charge points in Halden Municipality. “It is important for the project partners in INVADE to be able to test the work we have done, both technically, theoretically and economically. We wish to offer an adaptive charging solution which charges the car when needed, but also considers when conditions in the power grid are most favorable and at the lowest possible price. In doing so, we contribute to reducing the society’s carbon footprint,” emphasizes Gjerløw.